Today, it is my first Friday Tutorial for Rebecca Baer and I want to apologize for my english! 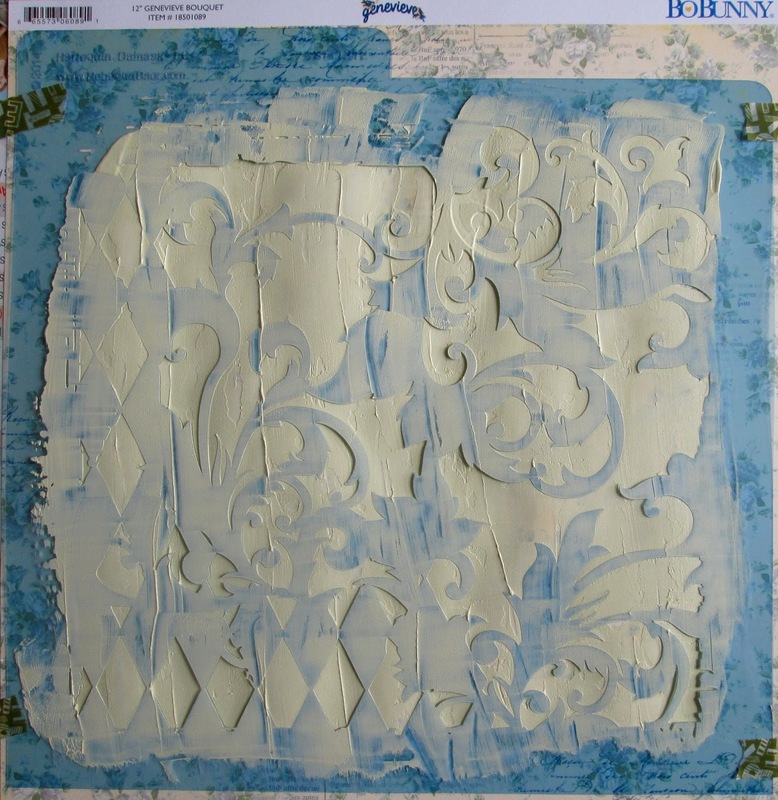 I show you a vintage layout with the Rebecca Baer's lovely stencil " Harlequin Damask" that I used for the background. 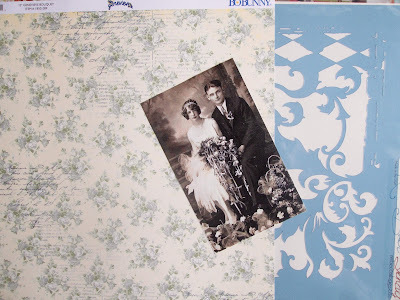 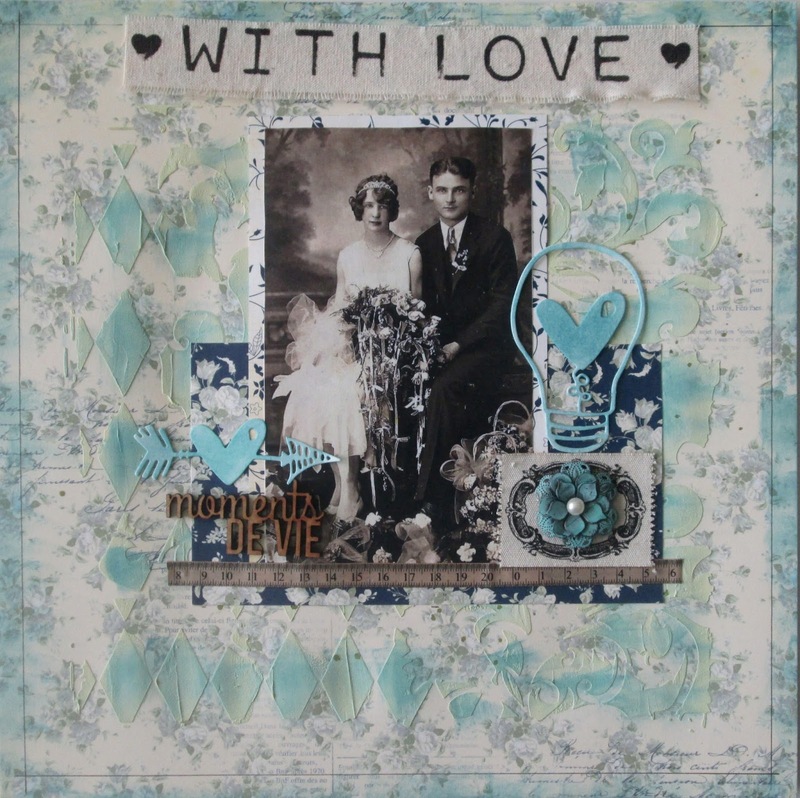 I used the Geneviève collection papers from Bo Bunny and a vintage photo that I found on Pinterest, sure if you have one from your family it will be better! Place the stencil on the paper background and with a mix of gesso and green ink, apply them over the stencil. 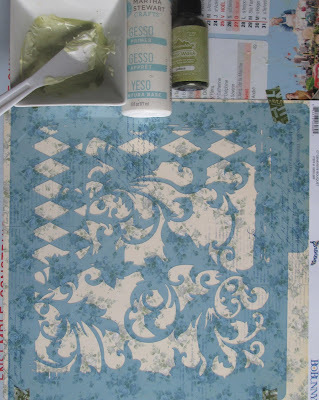 Clean the stencil while you let the paper dry! 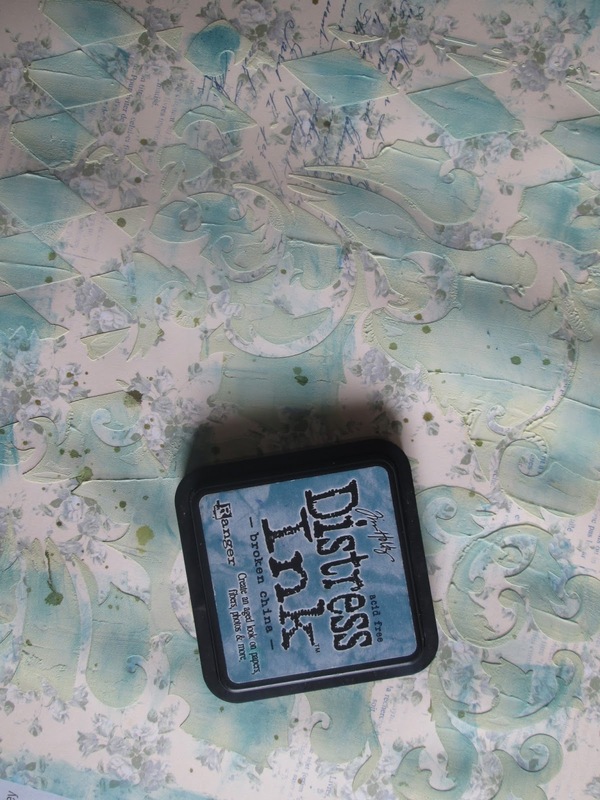 When it's dry, splash a few drops of ink. Now, with a piece of cut'n dry, put some Distress ink on gesso to give it a nice color. Cut two pieces of different papers and arrange them on the page below the photo. 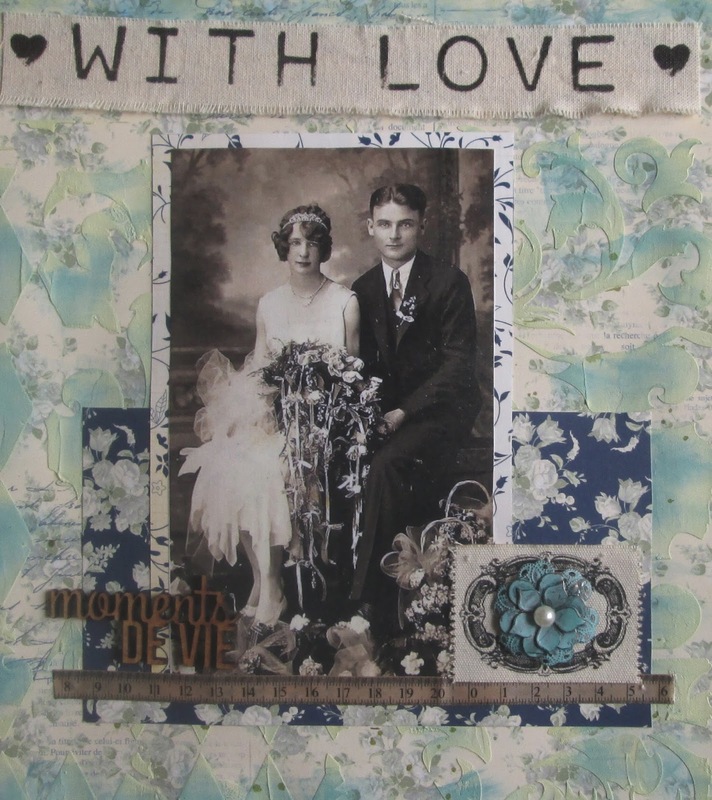 Finally, add a ribbon in the bottom of the photo, a fabric label with a metal flower. A small sentence on the left and some dies cut with Distress ink. 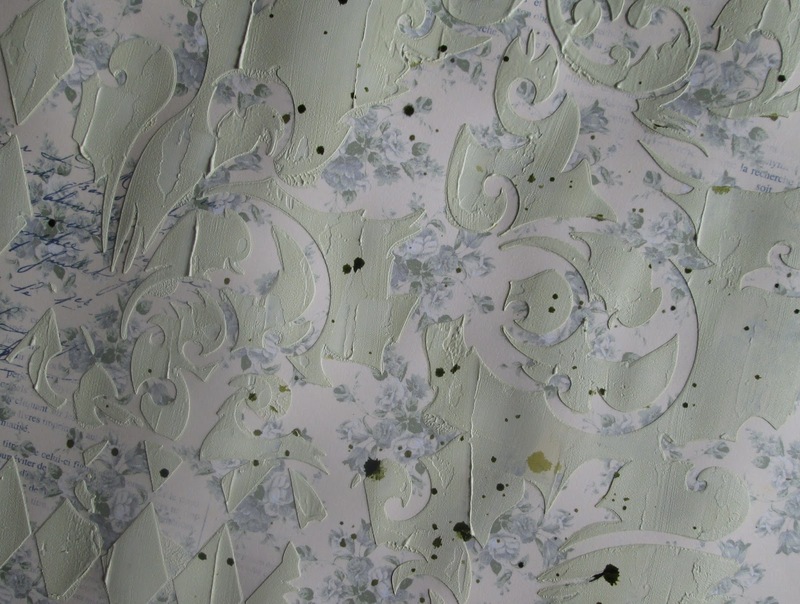 I also added a big printed ribbon on the top. 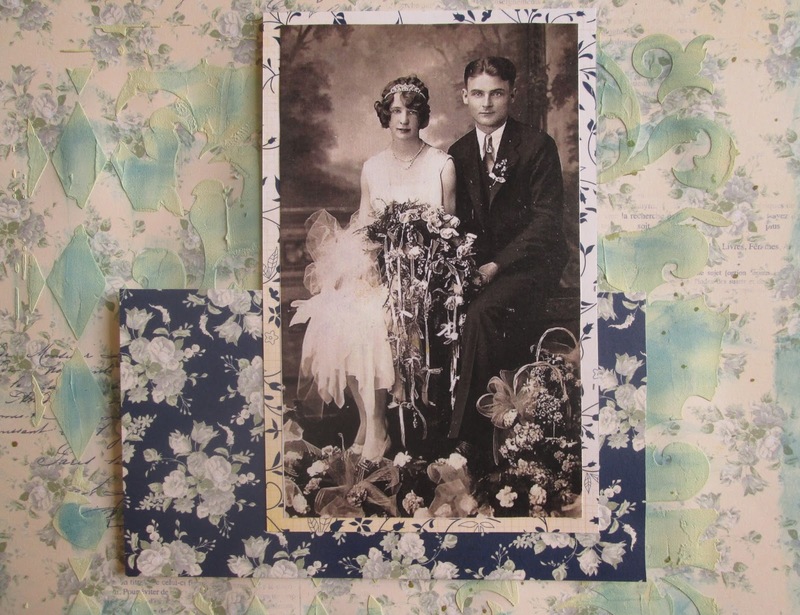 I hope this page will inspire you. Please show me yours if you use this tutorial. See you soon for another Rebecca Baer's stencils creation.